Permanent Smoothing/Straightening/Rebonding treatment provided by LO'REAL, MATRIX , WELLA. It's longevity is 6 to 8 months. This treatement does not give only sleek straight look but provides lasting smoothness, de-Volumized hair & easily manageble hair. There are many ways to chemically straighten hair including the pricey keratin hair straightening treatments and Japanese hair straightening, and perm solutions are one of them. These are called "straight perms". Perm solutions are permanent. We will make sure you have no more stained mirrors, no grimy countertops and everything is kept in order. 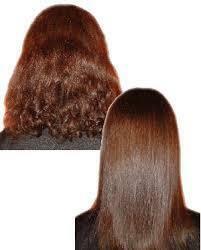 We, at VENUS offer personalized Hair Straightening service. 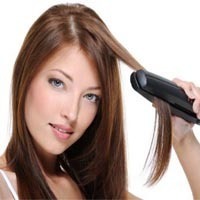 Hair Straightening can be permenant or temprorory. Facing problems such as hair loss, scalp conditioning or dandruff.. Well our custom made hair spas are one of the best ways of maintaining and enhancing the beauty of your hair. It helps to develop the natural beauty composition of your hair & includes different treatments to make your hair look much more attractive and is ideal for getting the shine back into your hair.